Demand for Starting Strength Coaches is at an all time high. 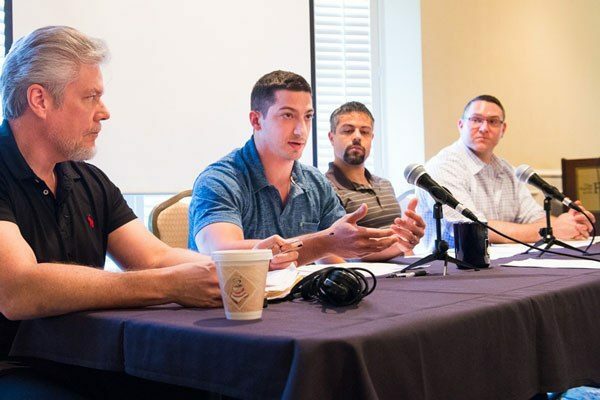 While there are many certifying agencies in the industry, the Starting Strength Credential is the only one that generates phone calls and emails from clients on a regular basis. The market is hungry for more qualified coaches that are familiar with the Starting Strength model, yet the standards have been maintained such that there are only about 125 coaches in the world. A high degree of demonstrated performance on the platform and in written word is required for those wanting to be identified as a Starting Strength Coach despite how this limits growth of the coaching cadre. The reason is simple: quality control. Earning and maintaining the Starting Strength Credential is a serious endeavor intended for those that aim to be professional coaches. For those that invest the time and effort needed to earn a Starting Strength Credential, they will be sought after for their services and can command a premium rate. 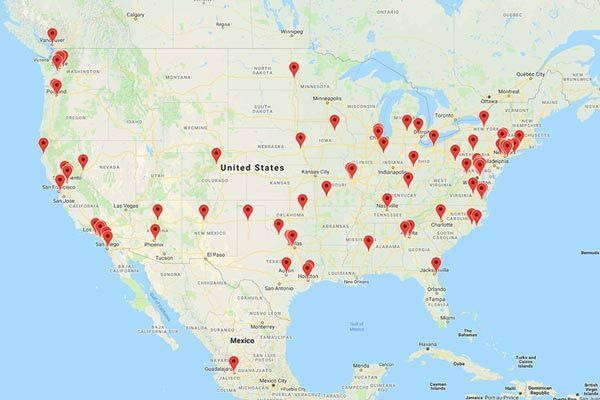 It is common for a Starting Strength Coach to see clients that have traveled hundreds or thousands of miles to work with them. The purpose of this article is to outline the requirements for the credential and offer suggestions for how to prepare for the process of becoming a Starting Strength Coach. There are three competencies that must be proficiently demonstrated to earn the Starting Strength Credential: performance of the five main lifts, coaching the five main lifts, and understanding of the model in written word. These three competencies demand an aspiring coach to not only demonstrate proficiency of these three abilities, but they must also be done in a short period of time and in a high-pressure environment. The seminar includes two and a half very full days of lecture and platform experience. The weekend is densely packed with information and lifting in a mentally and physically taxing 48 hours. Candidates that want to pass shouldn’t come to the seminar trying to learn and apply the material for the first time. This will certainly end in failure. It isn’t enough to be casually familiar with the material either. One must be intimately familiar with how to perform and coach the lifts to be able to focus on performance amongst the stress of the seminar and platform environment. At the beginning of each seminar, participants are offered the option to test for the credential. Before they make the choice, however, the staff suggests that a good candidate for opting in has an engineering or science background, has read Starting Strength: Basic Barbell Training 3rd edition and Practical Programming for Strength Training 3rd edition several times, has been coaching The Starting Strength Model for at least two years, and has completed the Novice Linear Progression and trains consistently. 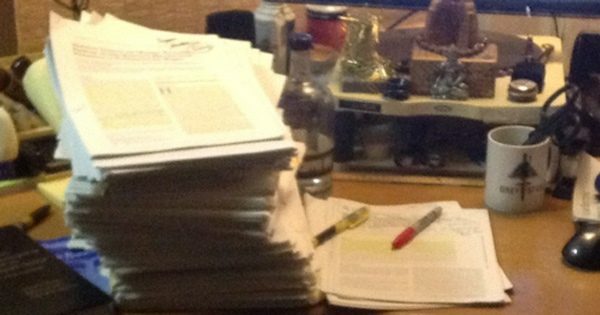 While there are Starting Strength Coaches that don’t have technical degrees, the intent is that a background in studying rigorous material is a precursor for success. Given this warning, typically four to eight people choose to attempt the platform test. During the platform portion of the seminar, those that opt in will be evaluated on their ability to perform each of the five main lifts: squat, deadlift, press, power clean, and bench press. They will also be evaluated on their ability to coach the teaching method of each of the lifts. 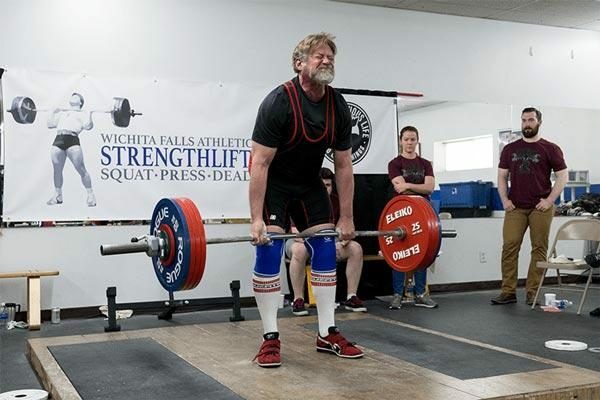 It is critically important to understand that the teaching method is a concise, standardized, proven way to get a novice lifter to perform the lifts in a matter of minutes. Applicants will often be given the most challenging members of their platform group so that they can be evaluated on how they use the teaching method and how they solve movement problems that are frequently encountered. Simply put, you won’t pass unless you’ve already coached and solved most of the problems that you encounter during the platform test. Throughout the weekend attendees are rotated among different groups of lifters and staff coaches for each lift. This means that you will be coaching someone new for each lift while also being evaluated by new staff coach. The combination of rapid variation and time constraint while being critiqued creates a level of difficulty that is rarely experienced elsewhere. 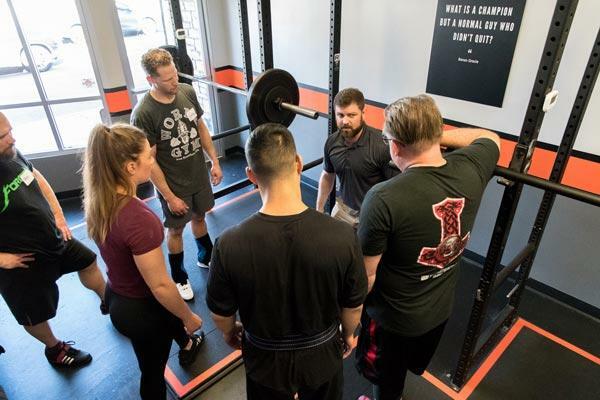 Only those that have mastered the model and have high confidence in their ability will be successful in effectively coaching the lifts while also maintaining a strong platform presence. At the end of the seminar weekend, the platform staff convenes to evaluate the written notes taken for each of the candidates. Only those that have unanimous and enthusiastic agreement among all the staff coaches will be considered for nomination to take the written exam. The written exam is emailed to those that pass shortly after the seminar and must be submitted within fourteen days. Unlike most fitness organizations, the test is comprised of several questions that require long-form essay responses. A passing exam typically ranges from 25 to over 60 pages in length. Most that have taken the exam compare it to a “masters level” final. This isn’t an exaggeration. To be successful on the test, you should expect to clear your calendar for the week or two after the seminar so that you can focus as much energy as possible on writing. Your written word is a demonstration of your ability to clearly organize and communicate your thoughts. The written test is commonly overlooked and, consequently, failing the exam is normal. There are three ways to adequately prepare for the credential process: study, train, and coach. Effective studying results in learning. At the 2015 coaches conference, Dr. Bradford presented Learning and Teaching Strategies that are posted on the website in a three-part series. Consider her presentation required viewing material before starting the task of learning the vast amount of material required to be successful in the credential process . Most people think that simply reading is enough to absorb information, but that isn’t enough to develop command of a subject. Learn how to learn before you jump into the books. Candidates absolutely must have read Starting Strength: Basic Barbell Training and Practical Programming multiple times . Both texts offer new insight upon each reading and your perception of the material changes as you train and coach more. There are singular sentences that have depth of meaning beyond a novice’s ability to comprehend that you will only recognize by consistently revisiting the books throughout your training and coaching career. Do so often. There is also a tremendous amount of material available on the Starting Strength website: articles, videos, and years of forum history. The material available on the website adds a depth of context and application of the material that is critical for understanding the text and enabling the aspiring coach to understand how the model need be executed and applied on the platform. Supplemental reading material is also important to understanding the Starting Strength Model within the context of human anatomy, physiology, and the physical world. It is highly recommended that your bookshelf contain: The Barbell Prescription by Sullivan & Baker; Atlas of Human Anatomy by Frank Netter; Exercise Physiology: Human Bioenergetics and Its Applications by Fahey, Brooks, and Baldwin; the original version of the paper “Stress and the General Adaptation Syndrome” by Hans Selye; and a good introductory physics text, such as Conceptual Physical Science, 4th Edition by Hewitt, Suchoki, and Hewitt . These texts contain foundational information that supports the Starting Strength Model and provides a more in-depth treatment of the physical world in which we operate. While not exhaustive, they provide a starting point for the process for those with no formal background. While a conceptual understanding is critical to success, you must apply those concepts to yourself. There is no substitution for getting under the bar and training. You must become proficient in executing the main lifts and going through the experiences of a lifter as the weight goes up steadily through the process of training over time. 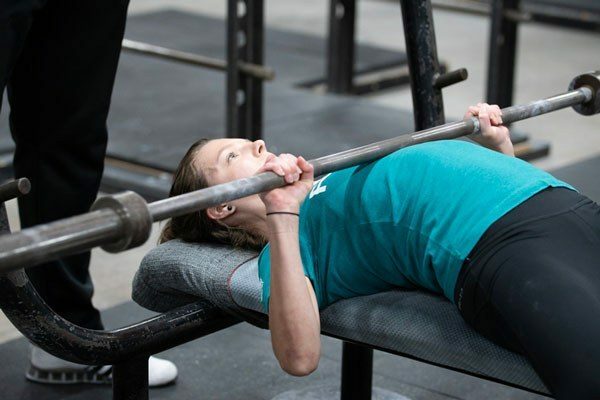 You must have gone through the Novice Linear Progression so that you can effectively coach through this phase of training and have personally experienced adding five pounds to the bar when you didn’t think it was possible. Ideally you will have also completed a transition into one or more early intermediate programs such as The Texas Method or Heavy-Light-Medium. These personal experiences are critical for your platform and written exam as well as for being an effective coach upon earning the credential. The best way to train is under the guidance of a current Starting Strength Coach. Seek out the nearest Starting Strength Gym or Starting Strength Coach and train with them. The advent of Starting Strength Online Coaching has also made it possible for anyone anywhere in the world to be coached by a Starting Strength Coach. The guidance provided by an experienced coach will not only accelerate your training, it will enable you to personally experience the client’s perspective of the model being applied in practice. 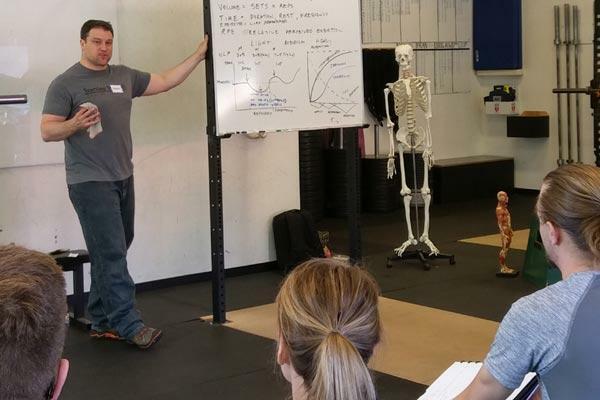 Starting Strength Coaches can answer questions you have about the model and clarify detailed points faster than if you were trying to figure them out on your own. It is extremely unlikely that you will be successful on the platform if you haven’t coached many people through the Novice Linear Progression. Not only do you need to have coached several people using the model, you need to coach many different types of people. You don’t know who you’ll end up partnered with on the platform, so you would be wise to expose yourself to as many different anthropometries, ages, and abilities as possible. 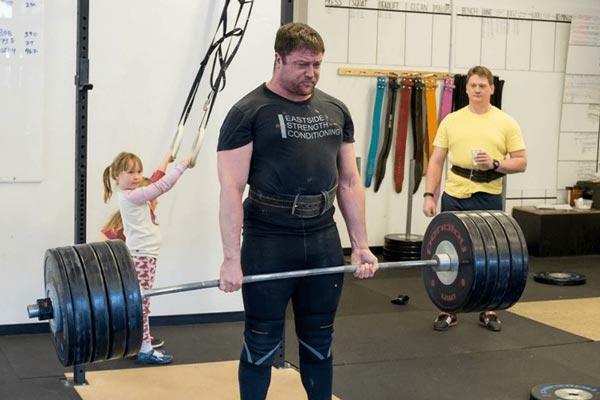 The more people you coach that have never lifted before, the better prepared you’ll be to recognize and correct common errors that occur on the platform. 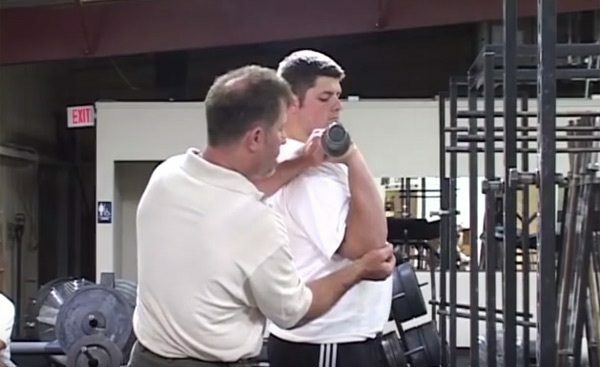 If you are in physical proximity to a Starting Strength Gym or Starting Strength Coach, you would do well to intern under the guidance of a Starting Strength Coach. There are no shortcuts in learning how to correct common movement problems, but having an experienced coach available to offer solutions they’ve developed will improve your rate of learning and help you avoid making mistakes that cost you or your clients valuable time. Additionally, having a coach oversee your work will familiarize you with the experience of having a coach supervise and critique your coaching while on the platform. 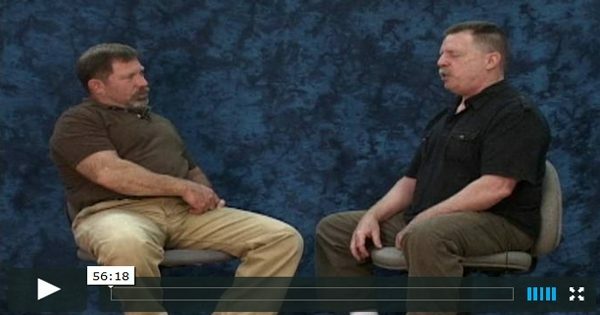 This will help ease the tension while you are coaching in the seminar environment with several other participants and a Starting Strength Coach watching over your shoulder. Observe other coaches applying the model. Ideally do this in person, but there are also resources available on the Starting Strength Forum – threads where staff coaches provide feedback and programming advice daily. Follow those threads and learn from the myriad opportunities available for free. Practice coaching as often as you can. Train your friends, your family, and anyone that will let you. Train people of all ages, sizes, and physical ability levels. Solve as many different movement problems as possible so that you are confident applying the model to a wide variety of people. The process for becoming a Starting Strength Coach is estimated to take at least 18-24 months. This is nearly the minimum time required have read and effectively absorbed the material, completed a Novice Linear Progression, and coached a meaningful number of people using the model. Completing the journey is challenging, rigorous, and rewarding. Just like training, the process of becoming of a Starting Strength Coach is more important than the destination. Taken seriously, you will not only learn about the subjects described above, you will learn more about yourself. You will become a better lifter and a better coach, regardless of the outcome. Keep in mind that earning the credential is only the beginning. You are earning a title that attests to an ability to coach the Starting Strength Model. It is a foot in the door to begin coaching the model as a professional. As with other professional certifying organizations, continuing education is a key component of maintaining the credential. All SSCs are expected to meet annual requirements to stay in good standing as a Starting Strength Coach. This includes coaching a certain number of hours each year, regularly auditing a seminar to stay current on the teaching model and participating in the annual Starting Strength Coaches Association Conference. As with any substantial task, the best approach is to break it into smaller components and start tackling each piece step by step. Build an outline of material and actions to complete and layout a timeline to incrementally progress through the schedule. 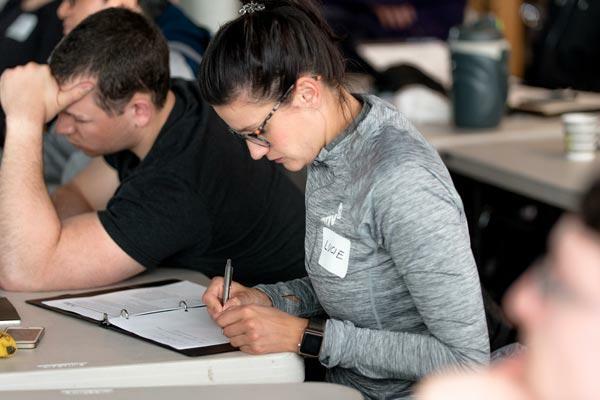 If you are considering the SSC credential as a part of a strength coaching career, you are already training – start training correctly now, and start coaching as soon as possible while you study the prime sources and supporting material. Start engaging in the forum and seek out other lifters and coaches that use the model daily. One of the best ways to kick off the process is to attend a seminar as a participant without the pressure of trying to pass the platform. The experience will open your eyes to the extent of the material and familiarize you with the platform experience in a less stressful context. You will be able enjoy the seminar as an observer and you will be more prepared for your test seminar the second time through. Start now. Get stronger and help others get stronger. Dedicate time and energy to the process of studying, training, and coaching. Bradford, S. Learning and Teaching Strategies (2015). Rippetoe, M. Starting Strength: Basic Barbell Training, 3rd Edition. Rippetoe, M., Baker, A. Practical Programming for Strength Training, 3rd Edition. Sullivan, J., Baker, A. The Barbell Prescription: Strength Training for Life After 40. Netter, F. Atlas of Human Anatomy. Brooks, G., Fahey, T., Baldwin, K. Exercise Physiology: Human Bioenergetics and Its Applications. Hewitt, P., Suchocki, J., Hewitt, L. Conceptual Physical Science.